Aphea.bio earlier this year raised a $10 million (or about 714 Bitcoins on today’s, December 24th, 2017, prices while I’m sitting at the farm writing this) Series-A investment to invest in “biopesticides.” A Series-A investment would traditionally mean that the science behind the investment has been proven, and they are working to commercialize the technology needed to the general market. With a push on agriculture from the general population for sustainability, organic products, or non-gmo exclusivity (whatever buzzword makes them feel better), it will no doubt result in more investment in new technologies and alternative practices to the food production methods used today that qualify under these terms. Alphea.Bio public materials read more like they are commercializing technology that can effectively isolate microorganisms versus commercializing ones they have already identified as a product. However, it is still exciting to see research and investment in companies like Aphea.Bio that harnesses technology to use items already existing in biology to our advantage. Recently published in the Journal of The Royal Society Interface (2016), Insect-computer hybrid legged robot with user-adjustable speed, step length and walking gait describes how beetles can be controlled via a computer. This computerized control entails the degree of beetle step-length to the beetle’s speed. Essentially, it’s Aphea.Bio on steroids. Once two-way communication via bugs can be established (i.e., wireless transmission of sensory data from bugs) we will be able to program bugs to go on weed or insect killing missions –– and it will be fairly easy to do. If you will allow me to recreate nightmares from my nine-year-old self, imagine crates of pre-programmed cyborg beetles shipped to your farm. Then imagine releasing them to control whatever pest or weed you wish and then telling them to come back. 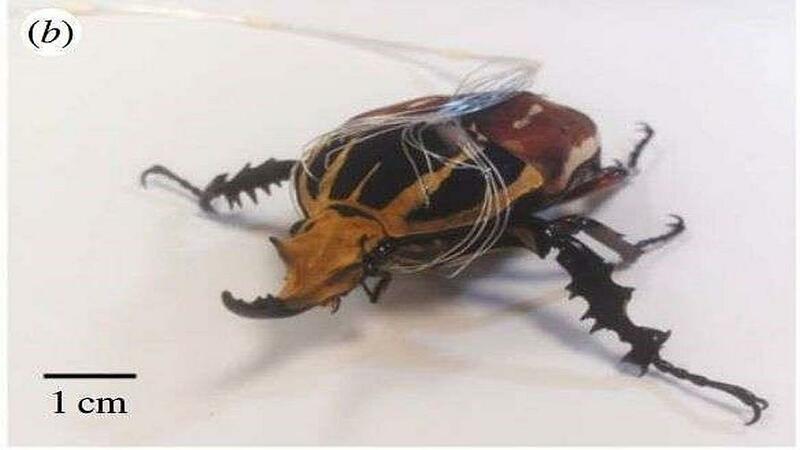 Once theoretical science, cyborg beetles have moved to experimental science with good and ever increasing results. All the puzzle pieces now exist — someone just has to put them together.